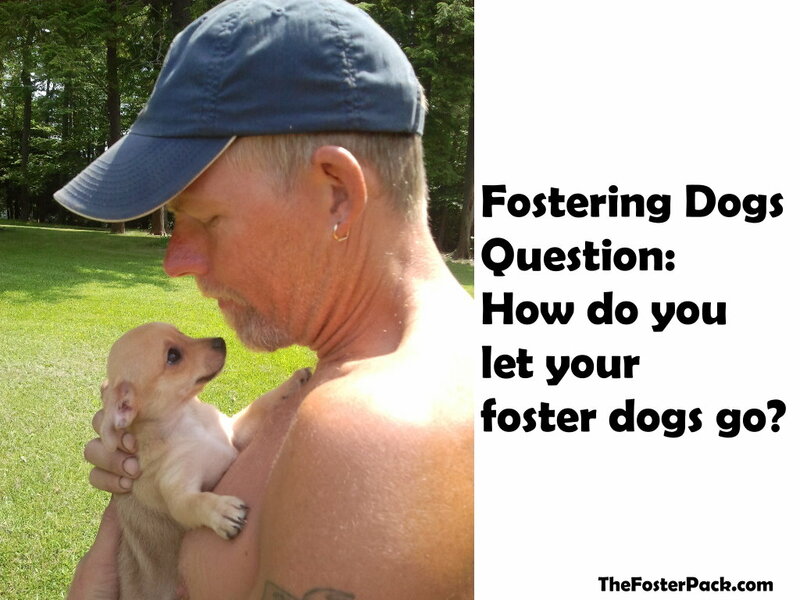 Home > Animal Shelter Volunteering > Animal Fostering > Dog Fostering > Fostering Dogs Question: How do you let your foster dogs go? How do you let your foster dogs go? The most asked question, and one of the hardest to answer. We realize that we can’t keep them all. The more permanent residents we have here, the less dogs in need that we can help. And that they are going to good homes. Working with rescues and shelters that I trust to find them the best homes possible helps. It sets my mind at ease that they all go to good homes. As a foster mom, I often get to meet potential adopters during the meet and greet, or talk to them on the phone about the dog. Then I get to give my opinion on them too. It helps to meet, or at least talk to the potential adopters. To get to see how they interact with the dog. And to listen to what questions they ask. A lot of the families that have adopted my foster dogs keep in touch after the adoption. Either with me personally, or with the rescue that they were placed through. And we encourage all adopters to share photos and stories about their furry family members. We love to see updates on the rescue animals we help to place. If you’re a new foster family, or considering becoming a foster family for your local rescue, keep it mind that it does get easier the longer you’ve been doing it. Occasionally, a dog comes along that you build a stronger bond with than most. Then you have to decide whether to keep him/her or let them go to an adopter. That’s a personal decision. After our first two foster failures, Santana and Pantera, a set of bonded brothers, we tend to only adopt those that would be the hardest to place. The older dogs with health issues. Or younger dogs, like our Monkey, with health problems that will have lifetime impacts. Or the ones with behavior problems that make them less adoptable. And you shed a few tears, usually, after you leave them with their new families. But then you relax and hug your own dogs a little tighter. After that, it’s usually not long before you get the next call or text, about the next foster dog coming your way.